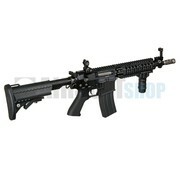 G&P Sentry Black Airsoft Gun Replica. 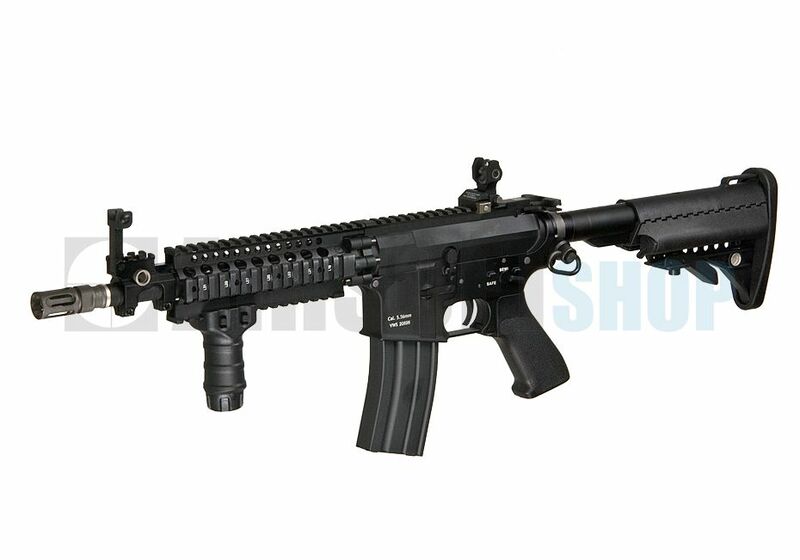 G&P sentry, It is fully licensed making it that much more appealing aesthetically. 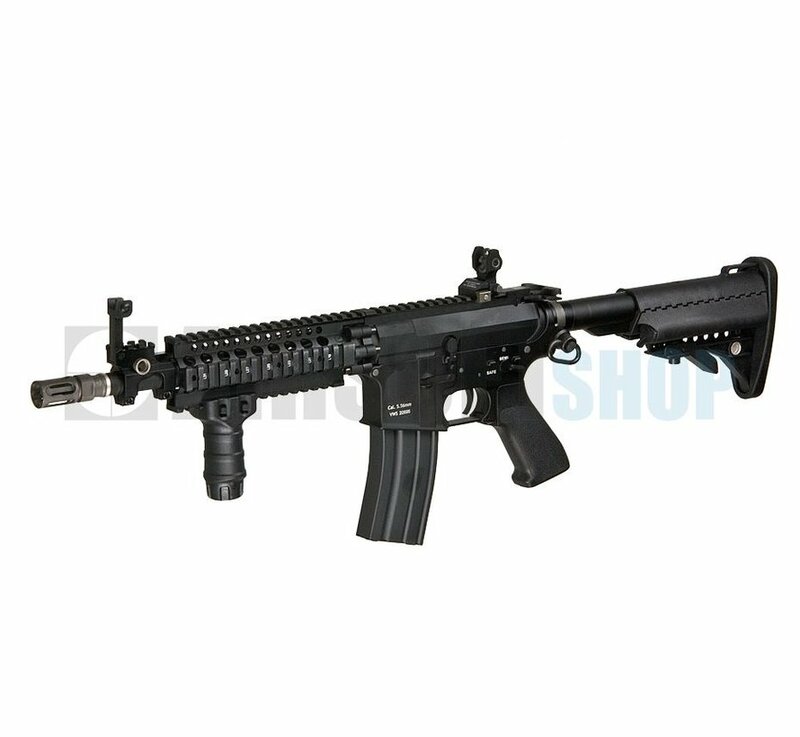 What makes this different in comparison to an ordinary M4A1 is the VLTOR Upper receiver, with the Vltor Lower receiver, a VICTOR 5 point extendable stock, a VLTOR Flash Hider, VLTOR flip up front sight and a Troy folding battle rear sight. 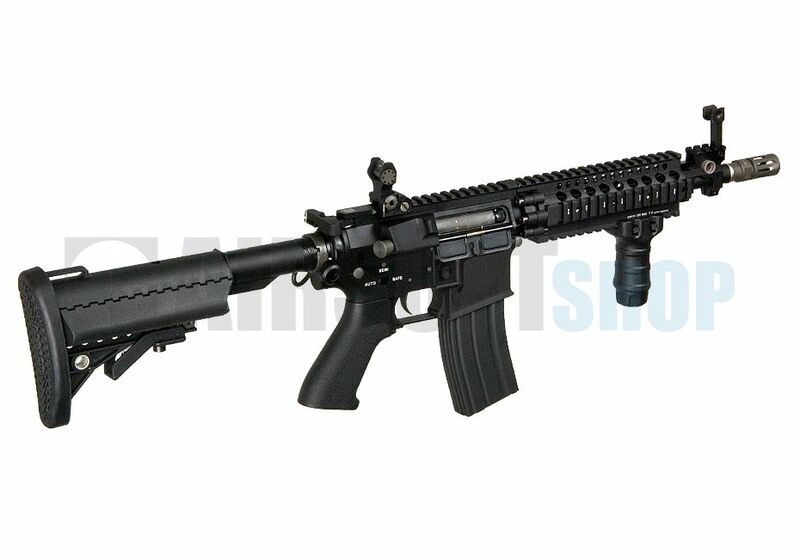 It does come with a G&P Stubby grip which is a little loose and an ordinary M4 pistol grip but apart from that, it really does look the part.